Real life scenario: Your very best friend in the world recently got engaged and asks you to be her maid of honor! Without hesitation, you say ‘yes’ and happily tell her you’ll be the best maid of honor that ever lived…. Fast forward a few weeks: You are afraid to open emails from the bride-to-be, fearing/knowing each message will contain a link to a designer dress with a cost equivalent to the down payment for a Ford Focus! While some brides are becoming more flexible on bridesmaid gown choices, there are still those traditional brides who want every girl in the same dress, sometimes wearing matching or even custom dyed shoes. 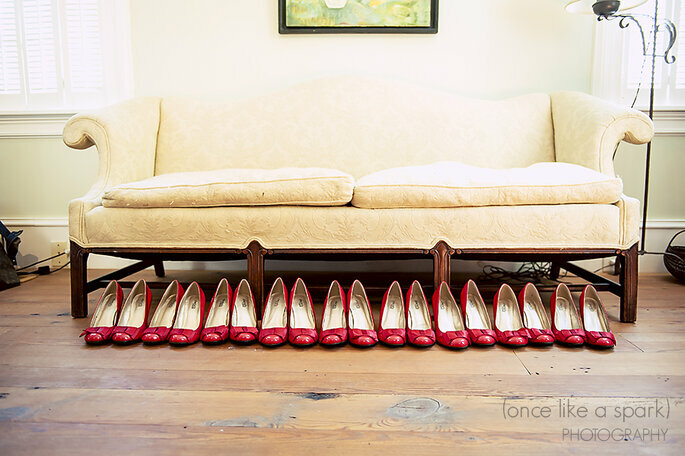 Be prepared to spend around $200 on your dress and shoes, depending on the choice the bride makes! Some brides make getting your hair and make-up done optional, but some may require it! Depending on the situation, this can be a pricey additional cost that you weren’t counting on. Make sure you ask the bride about her plans a few weeks in advance so you know not to spend that extra $100 on something else! Of the 15 former bridesmaids I questioned for this post, the average amount they contributed to throwing a shower was $250. Sometimes bridesmaids luck out when a family friend or relative offers to foot the cost of the shower. 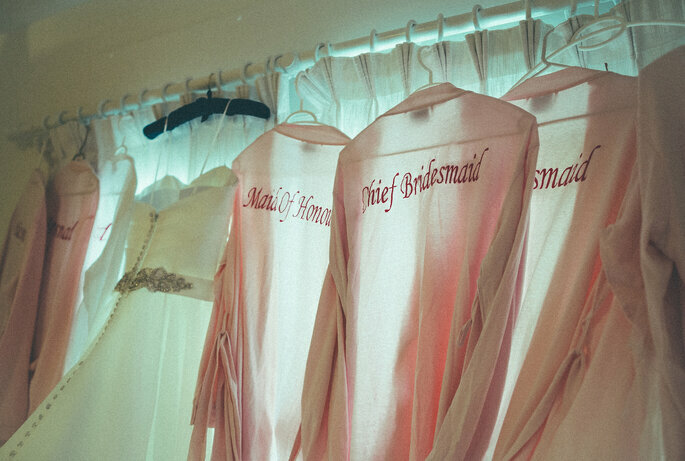 Other times, bridesmaids are expected to pay for everything. No matter the situation, you should plan on helping to pay for prizes, games and a shower gift from you to the bride. Did you know in the UK, bachelorette parties are called ‘Hen weekends?’ Fun fact for you! One of my friends from Ireland shared that bridesmaids in the UK typically don’t pay for their dress, shoes, hair or make-up–since the bride has asked them to be in her wedding, it is considered a favor to her and she foots the bill! Incredible, no? 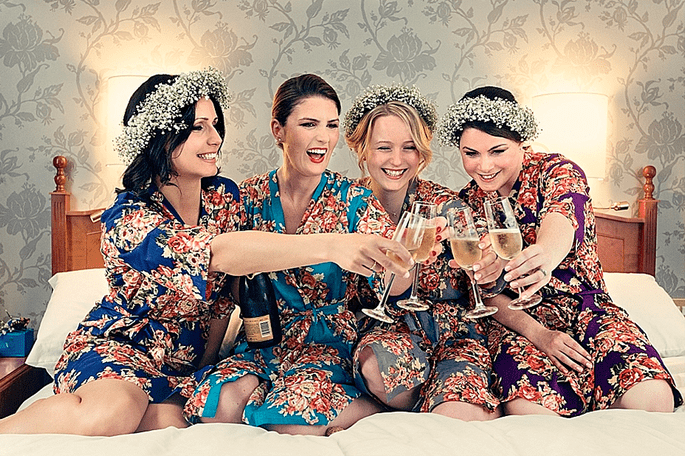 The bridesmaids and friends, however, DO throw a ‘hen weekend’ full of fun things and foot the bill for the bride! In the US, bachelorette parties can range from a fun girls night in, to lavish trips to Vegas–so plan on forking over a decent amount of cash for this occasion. Gifts are very personal and will reflect your personality, so this one is hard to really give an average price. Generally speaking though, bridesmaids purchase a gift from the bride’s registry for the shower and give a personal, thoughtful gift for the wedding. The nice thing is about a registry is there are a variety of gifts at different price points so you can pick something that really fits your budget! I’ve flown to Boston and Malibu to be in weddings and had a blast at each of them! Travel is another factor some bridesmaids forget about, but be sure to consider the location of the wedding when you say ‘yes’–there is quite a difference between filling your gas tank to travel a few hours, and buying a plane ticket to the other side of the country! Also, don’t forget other trips you may make to go dress shopping, attend the shower or attend the bachelorette party! For the industrious of you who want to be in your best shape ever for said wedding.